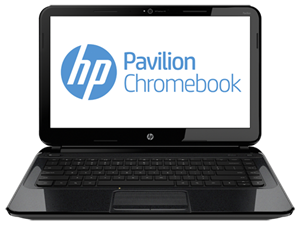 Now all the rumors are now over about HP Chrome book, because on Monday Feb, 2013 Hewlett-Packard officially announced via press release that they are now entering in Chromebook which is a Google’s Browser based operating system. After this now HP joins Samsung, Acer, and Lenovo sells PCs loaded with Google’s browser-as-OS. The HP Pavilion Chromebook gives you fast and easy access to the things you love and depend on, from a world of Google apps and services to your photos and social networks. And since it’s the first Chromebook with a 14-inch diagonal design, you get full-size comfort without giving up full-on mobility. HP Pavilion Chromebook is priced at $330. Additional information about the HP Chromebook is available at www.hp.com/go/chromebook.